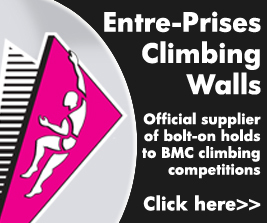 The European Championships will take place from 5-6 October 2019 and will be a chance to see some of the best climbers in Europe compete ahead of the sport’s debut at the Tokyo 2020 Olympic Games. It also follows the successful delivery of the IFSC World Cup when EICA:Ratho took centre stage for the fifth World cup in Lead and Speed of 2017. The sold-out event attracted more than 1,200 spectators, athletes and coaches. Currently, 25 million people climb regularly worldwide and there has been a rapid rise in popularity of climbing worldwide, a sport that draws diverse climbers from rural and mountain as well as urban areas.